He will always stop to help you, keep you smiling, and is the loyalest friend ever….Meet Mike James! My first OCR race was the Gladiator in 2010. I had some coworkers at the time who were going to do it and they invited me along. I look at challenges differently now. It used to be about the effects that dealing with the challenge would have on everything else. and now it is about the effects the solution will have on everything else. I don’t see challenges as a burden or annoyance anymore, they are a learning opportunity and a way to grow. The Family. you have the family you are born with and the family you choose. I choose my OCR Family. Everyone who gets off the couch and tries to be better. My favorite thing to say to everyone is “you never come in last because you beat all of the people who didn’t even try”. Finishing Montana in 2016 after being out there for 13.5 hours. Most people know almost everything about me if they listen to the podcast at all. I decorate cakes, I have a second personality that does comedy and other podcasts. But one thing people may not know is that I am not a confident person at all. I have a very low opinion of myself most of the time and I try to hide that fact with jokes and comedy. To fix my health issues and stop just finishing races. I want to run races. Please join us in congratulating our 2019 Pro and Ambassador Team members! Please help us in thanking the 2018 special team members for such a memorable and wonderful year. You are all amazing and appreciated so much! Oats are used primarily as food for livestock, with only about 5% of the world crop being consumed by humans. October 29th is National Oatmeal Day. January is National Oatmeal Month. March 18th is Oatmeal Cookie Day. The most popular oatmeal toppings are: milk, sugar, fruit (raisins, bananas) and butter/margarine. Among the most unusual are: eggnog, peanut butter, cottage cheese and brewer’s yeast. Oatmeal cookies are the number one non-cereal usage for oatmeal, followed by meatloaf. Oatmeal is a bargain at less than 15 cents a serving. There are myriad types of oatmeal on the market – from old fashioned to instant. Rolled oats that have not been cut into small pieces are considered old fashioned and take about five minutes to cook. Old fashioned oats produce a chewier consistency. 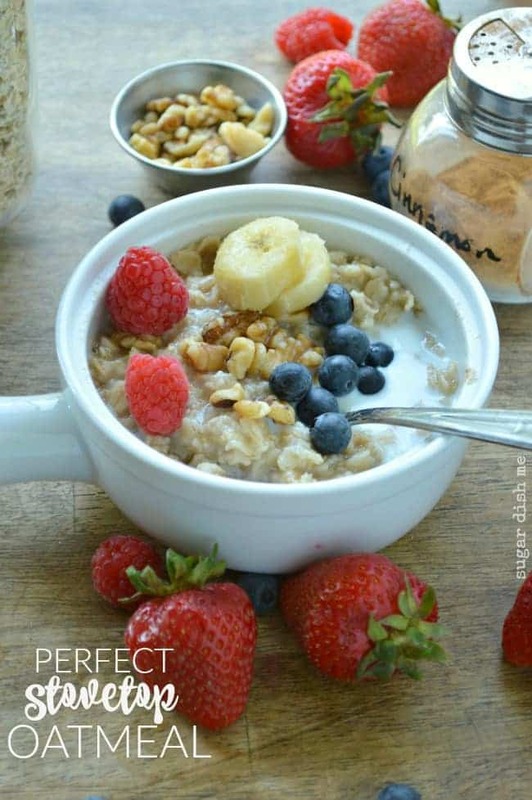 Instant oatmeal typically has sweeteners, other ingredients or flavors added. My go to breakfast before any race is oatmeal. It’s easy to pack, great energy and has always fueled my races without a hitch. Oatmeal is a whole grain, low glycemic carb. It is a slower burning carb and will sustain your energy longer than a high glycemic carbs such as white bread. I like to enhance it by adding some protein, usually in the form of nuts. I’ll also add raisins and a banana for the potassium. If I’m traveling for the race I pack it in a baggie and put a spoon right in the bag so it doesn’t get lost. On race morning I add warm water and let it soak. After about 5 minutes it’s ready to eat…..right out of the bag. I always thought you had to cook it, but it comes out great! Add water or milk and let soak for 5 minutes. Enjoy!